Zandra Rhodes. 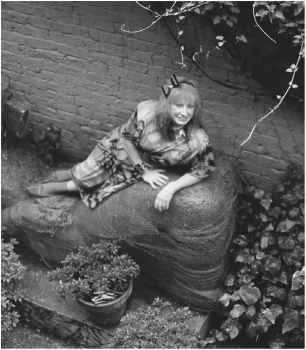 British fashion designer Zandra Rhodes reclines in a garden. She is wearing a print dress, a style she helped bring to prominence in the 1970s. © Eric Crichton/Corbis. Reproduced by permission. broidered waistcoats and flat, worked-out-kaftan and peasant shapes were all explained with the simplicity of a gardening book (Rhodes and Knight, p. 37). These garment shapes maximize the effect of the print, relying on layers, gathers, smocking, and shirring and often featuring handkerchief points to create the silhouette. The clothes are engineered to accommodate the placement of the prints, rather than cut from continuous, repetitive yardage. 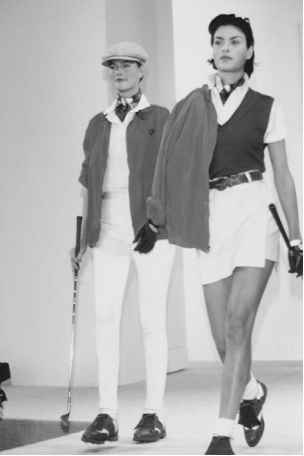 For this reason Rhodes's garments remain outside the seasonal transitions of mainstream fashion. Rhodes went on to design handmade, elaborate, feminine, evening dresses using her distinctive prints. Her clients included the late Princess of Wales and Princess Anne, who wore a Rhodes dress in her engagement portrait. During the minimalistic 1990s, her fantasy gowns, embellished with beads, sequins, and feathers, found less favor with the fashion press, but with the revival of vintage fashion in the early 2000s, her clothes are once again sought after.